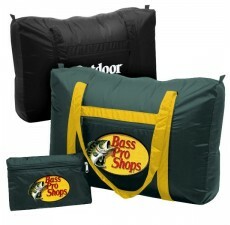 Looking for an environmentally-friendly product to give your customers at trade shows or in store? Look no further than these custom tote bags. 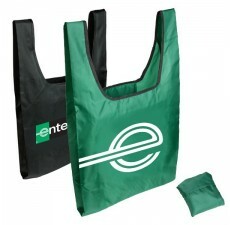 The unique design of these folding smart totes allows them to fold neatly into a self-contained front pocket, making them perfect to keep inside the trunk of your car for grocery trips. 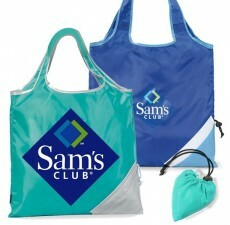 Folds down to 9.75"W x 8"H. Durable, eco-friendly material is sturdy and easily resists wear and tear, making these bags ideal for grocery trips, picnics, beach days, and a number of other occasions. 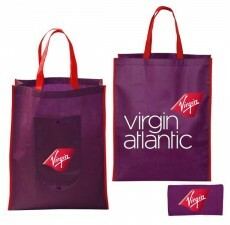 Choose from a wide selection of vibrant colors and imprint bags with your brand’s unique logo for maximized brand awareness. 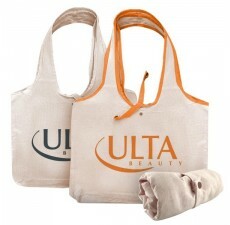 Learn more about all the benefits of eco-friendly custom tote bags today at our website.